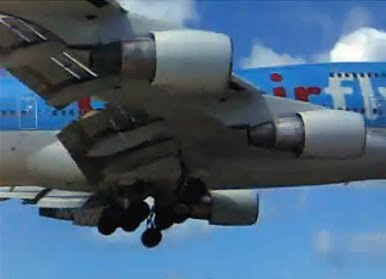 Planespotting at Maho is Like Nowhere Else! 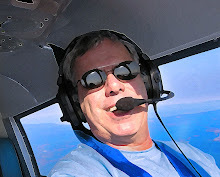 We pilots love to "spot" big jets inbound to land...we've been doing it since we were puppies. The closer the better, and if you get a little jet blast on your brow...all that much better. But if you REALLY want to visit the Mecca of planespotting, Princess Julianna Airport on the island of St. Maarten is the place to be. You can stand at the end of their mega-runway on scenic Maho Beach, which sits one tiny chain link fence away from the TDZ. There are dozens more on Youtube, found here. Just don't blame me if you waste time browsing aviation videos when you're supposed to be taking out the trash or attending Susie's piano recital! UPDATE: I almost forgot the crazy short airport at Saba: Insane approach here. And reader @FiveFs wrote to remind me the approach into St. Barts can be hairy as well.